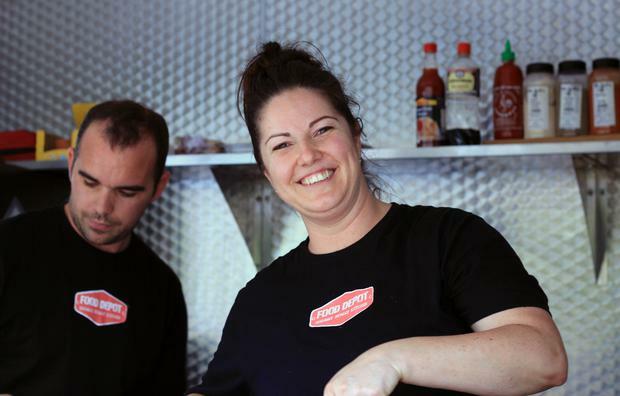 Diana Dodog and Mike O'Donovan of The Food Depot in Cork. The restaurant is a new entry on McKenna's Guides 100 Best Restaurants in Ireland 2015. Harry's Shack, Portstewart, Co. Derry. The shack features on the influential 100 Best Restaurants in Ireland list. Martina Cronin of Square Table in Cork. The restaurant features on John & Sally McKenna's 100 Best list for 2015. Brothers David and Stephen Flynn of the Happy Pear cafe. Photo: Ronan Lang. Ross and Karen Quinn of Vasco in Fanore, Co. Clare. The restaurant is one of Ireland's 100 best, according to John & Sally McKenna. McKenna’s Guides has published its annual list of Ireland's 100 Best Restaurants, with a smorgasbord of entries ranging from fine dining to food shacks. Galway is “the finest city to eat in Ireland” according to John and Sally McKenna's influential guide, published this week in app format for Apple and Android. New entries on the 100 Best Restaurants list include The Happy Pear in Greystones, Co. Wicklow, Forest Avenue and The Fumbally in Dublin and Cork's "gourmet street kitchen", The Food Depot - run by Irish MasterChef winner, Diana Dodog (pictured above). 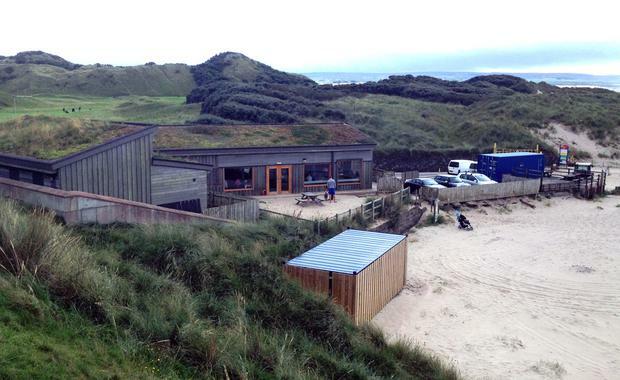 Also included is Harry’s Shack in Portstewart, Co. Derry (below) – a beach shack whose chef Derek Creagh has worked in Heston Blumenthal's Fat Duck and Riverside Brasserie. Mixing cafés, food carts and pizza joints - such as Skinflint in Dublin - in among the cream of the country's mid-range and Michelin Star restaurants signals just how far Ireland’s casual food scene has come in recent years. "In addition to food carts from Derry and West Cork, there is also a food shack, there is a canteen that is housed in a market, there is a surfer's paradise in Co. Sligo, and there is a pizza place in Donegal run by an hotelier, a baker and a craft brewer,” John McKenna says. The choices may look eccentric, but there are some serious CVs behind them. The fact that chefs like Creagh and Dodog are cooking in shacks and trucks reflects a trend towards food experiences rather than stuffy service, McKenna adds. “What unifies these places, is great cooking," he says. "When you think of the traditional food cart in Ireland you think of a gruesome experience, a greasy chipper, only fit to eat from when you're drunk... but these are very, very different." However, the 100 Best list is also notable for its exclusions. Kilkenny scarcely features, for instance, with just one entry (Campagne). Mount Juliet’s Michelin Starred Lady Helen restaurant fails to make the cut. Restaurant Patrick Guilbaud, Ireland's only two Michelin Star restaurant, is perhaps the most surprising omission, with Oliver Dunne's Bon Appetit also absent. "I would be no respecter of Michelin Stars," McKenna says. "It's not what I'm interested in, and it's not what the people who buy our books are interested in." Bolstering its foodie reputation, Galway's new entries include Enda McEvoy's Loam, McCambridge’s of Shop Street and Upstairs @West, in Barna’s Twelve Hotel. Dublin-based restaurants account for a quarter of the total list - with 25 total inclusions, while Kerry has just four of Ireland's Top 100 restaurants, three of which are in Dingle. McKenna’s Guides are compiled and published in app format for both Apple and Android by influential food writers John and Sally McKenna. They also launched an updated version of their ‘Where To Eat & Stay on the Wild Atlantic Way’ guide this week.